GOD – too much pretty! 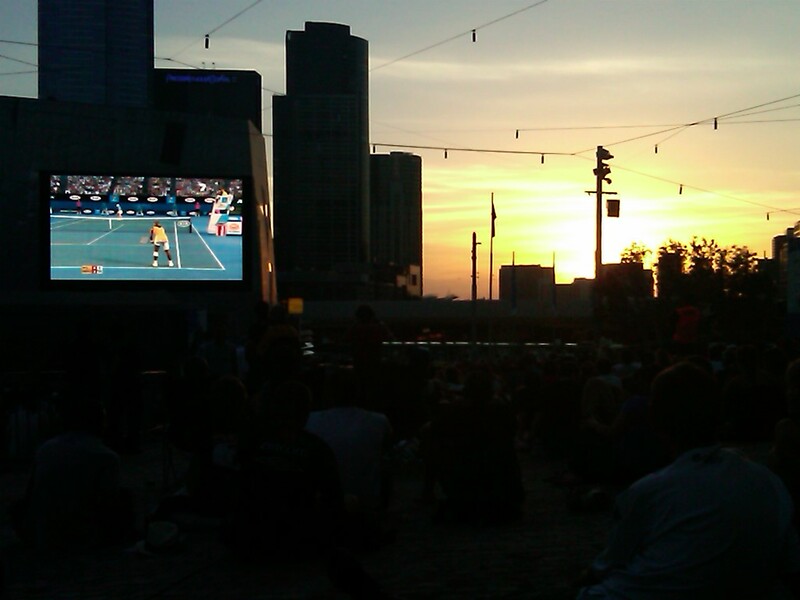 It was a good relaxing morning after watching the Federer/Murray final the night before. We had the whole day to get ready for the trip out on the Great Ocean Drive. We slowly woke asking each other why Murray couldn’t bring his Nadal game against Federer? Why was he slowly working his way into giving Federer problems, we surmised that Federer had a lot to do with it. Perhaps if Murray could have converted a set point in the third set, it could have been a turning point for him. Ten days of the Australian Open tennis and it was time to switch gears to ocean life. We started listing things to get. We checked our reservations for our car to make sure it was an automatic, for shifting a manual with the left hand and clutching with the left foot would not be an easy task. Everything was in order except we were to pick up the car in one hour. We checked our schedule and last night was our last night in Melbourne, checkout was in half an hour. With a flurry of calls ,packing, dressing, taxis, and executing the Aussie right hooks in our rental through the CBD of Melbourne to meet our new checkout time, we were in one hour cruising on the Great Ocean Drive. After about one and one half hours of driving we got our first ocean view. The beach was deserted, wild and smelled great. Australia has the cleanest air, even in Melbourne. 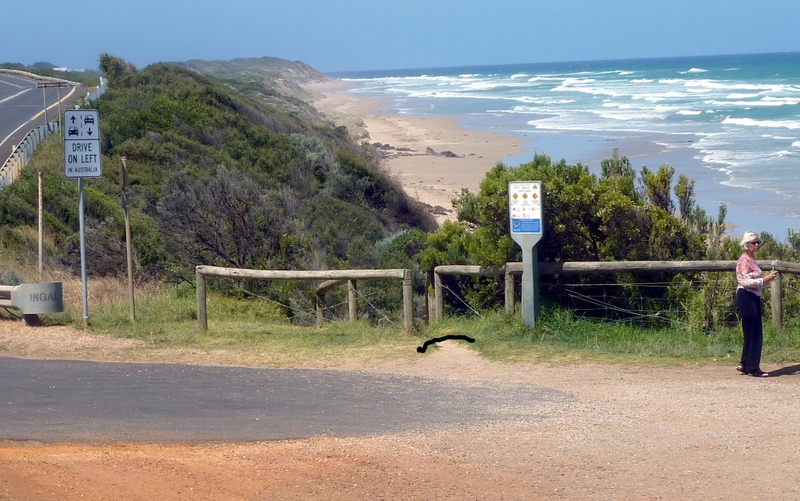 With two more hours of driving along wild beaches we came to the town of 400, Apollo Bay, our stay for 3 nights for 3 days of beach. Our fourth day was a short two hour drive to Port Campbell to see the twelve apostles. A short diversion off the GOD provided our first Koala sighting, but no kangaroos yet. We got into our room late, checked out the town of 800 and spent the rest of the evening using the Best Westerns Motor Inns complementary wifi. Free wifi has been spotty in Australia, as has been fast connections and charging for time as use time and not as subscription time.. The next two days exploring the coastline around Port Campbell left us saying over and over “Isn’t this pretty”. It was downright spectacular! 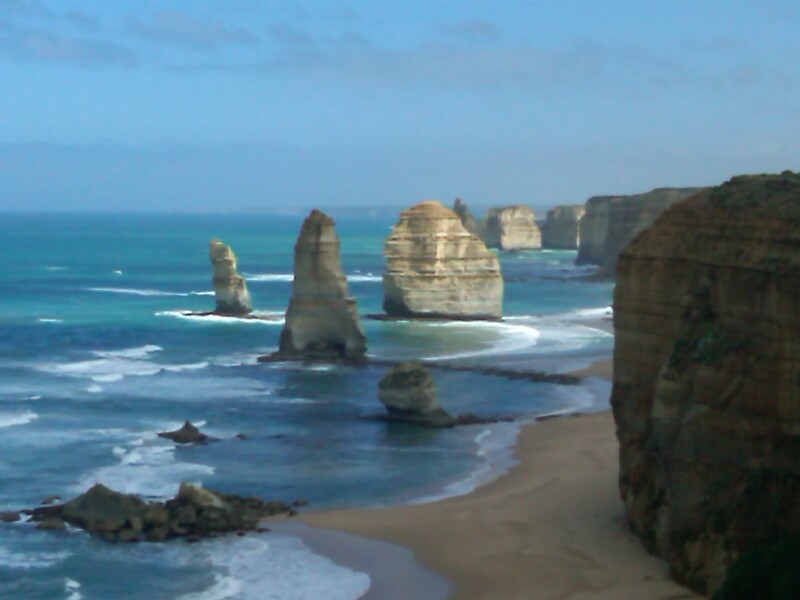 We went to the twelve apostles four times, we could not get enough. It looked different with each day’s different lighting. We spent eight hours at the Loch and Gorge walking the different pathways set up by the National Park service. Each pathway would lead to one spectator limestone ocean cliff view after another. We put Port Campbell as the high of the GOD trip and headed on to Kangaroo Island. Seventeen days in Australia and not one kangaroo sighting. Thanks, George — the view and description of the Apostles was great — they look like they are the very definition of breathtaking. I think most of the kangaroos are toward the interior of the continent — they are notoriously rotten swimmers, I guess because the pouches fill up with water. John, I am glad you liked them. Click the more photos when you see a different photo as the top photo in the photo sidebar. It takes a lot of bandwidth to upload the photos and the Internet connections are few and far between especially ones with wide bandwidth. The coast looks very inviting. Especially from our snow-bound location. 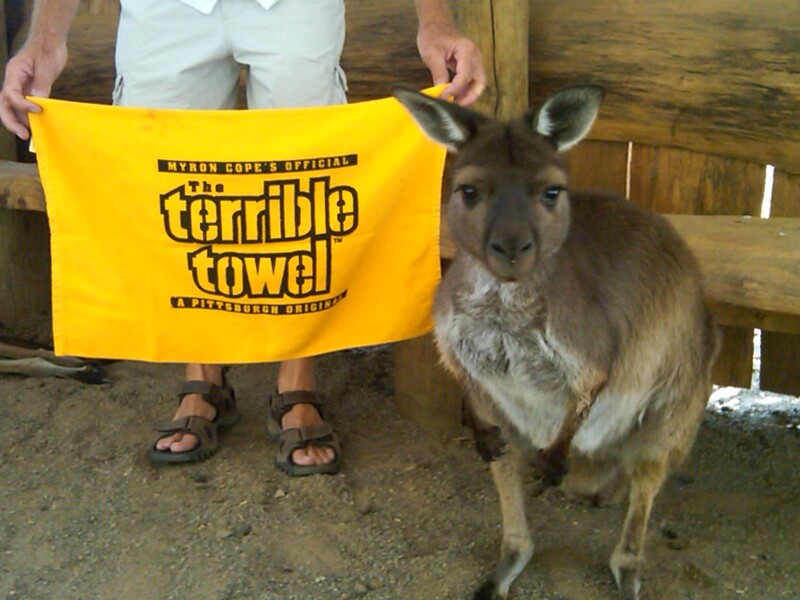 Need a picture of George next to one of the kangaroos, please. Not that it will ever show up again in any other form. No problem Pat, We are having a great time and the photo are part of it. You know about that. I have been to Ballston Spa and it is beautiful. Keep on shooting!